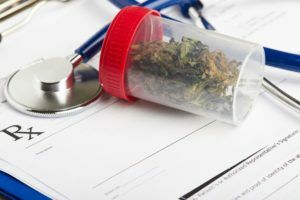 The wholesale price and supply situation for various state medical marijuana markets is a mixed bag, with different regulations, patient counts and product availability generating diverse situations. In New Mexico, for example, medical marijuana business owners are experiencing increased demand and rising prices. Elsewhere, however, MMJ business owners are suffering the same fate as their recreational counterparts, namely bloated supplies and sliding prices. New Mexico’s situation is unique. Regulators there have capped the number of plants an MMJ business can grow at 450, but the patient pool is swelling by as much as 100 new patients a week. That one-two combination has meant wholesale MMJ flower is harder to come by, so prices are rising in New Mexico. One MMJ retailer there reported the market price is $2,800-$3,000 for a pound of wholesale flower, up from $2,100-$2,200 per pound a year ago. That’s much higher than prices in mature recreational markets, such as Oregon and Washington, where industry officials report much lower prices for wholesale adult-use flower. The situation in Arizona, meanwhile, resembles the Oregon and Washington rec markets. Thanks to excess supplies, Arizona MMJ business owners have watched prices fall to a low of $900-$2,000 for a pound of wholesale medical cannabis flower. That’s down from $1,500-$2,600 a year ago. Montana also has its own special circumstances. The MMJ patient pool is rebuilding after a state law there effectively made the program unworkable. A 2016 ballot initiative revived the MMJ industry. Since the vote, patient demand has grown – a situation that could push up retail MMJ prices there. Below are snapshots of four medical marijuana markets: Colorado, New Mexico, Arizona and Montana. In Colorado, wholesale prices for both medical and recreational marijuana have been falling since adult-use sales began in 2014. But the slide has been less pronounced for MMJ, which currently can fetch a price as much as double that of rec products. “The med prices are higher right now,” said Jake Salazar, CEO and founder of Denver-based MMJ America, a vertically integrated medical and recreational cannabis company. That has meant less competition for remaining MMJ businesses. A wholesale pound of indoor-grown MMJ flower is selling for $900-$1300, depending on quality, and the price has remained about the same over the past year, according to Salazar. Still, that’s a significant drop from 2014, when Salazar was selling wholesale medical cannabis flower for $4,200 a pound. Compare that to the recreational market. In February, Sam Thoman, chief of business development at Strawberry Fields, a vertically integrated company in Colorado Springs, said overproduction forced him to sell a pound of greenhouse-grown recreational cannabis flower for $600 a pound. A wholesale pound of medical marijuana trim, meanwhile, is fetching $300-$400, while a retail ounce of MMJ flower is selling for $150-$250, with tax included, according to Salazar. Lower taxes have proved a draw for MMJ customers. For that reason, Salazar said, some people have chosen to stay on the MMJ registry. “People still buy it,” he said of medical cannabis. But demand growth has stagnated. “You just don’t have a lot of people signing up for the registry,” Salazar said. The patient pool in Colorado was 111,000 in 2014, when the state legalized recreational sales. By February 2018, it had fallen 16%, to 93,000. New Mexico’s cap on the number of plants growers can cultivate plus the state’s growing patient base have translated into rising MMJ prices and dwindling supplies. The state’s patient pool topped 50,000 at the end of March, up 46% from the previous year. Rachael Speegle, founder and COO of the Verdes Foundation dispensary in Albuquerque, said her team recently signed up 42 patients in one day. “The demand is going up and the supply is staying exactly the same or going down,” according to Speegle, who is finding it difficult to find wholesale product. “I don’t really know what the (Health Department) is thinking, how they can continue to expedite their process, approving more and more patients without allowing supply to increase,” she added. Speegle is seeing $2,800-$3,000 for a pound of wholesale flower, up from $2,100-$2,200 a year ago. Wholesale pounds of trim sell for $315-$450. Undesirable flower that failed testing – but can be used for extraction – sells for about $900 a pound. But all is in short supply. To add to her inventory, Speegle has worked out an arrangement with another business. That company was not selling all the plants it was licensed to grow. The agreement allows Speegle to make use of the grower’s extra plants. Verdes Foundation sells retail MMJ flower for $10.50 a gram, which is just shy of $300 an ounce. Speegle worries that rising prices will mean only affluent customers can afford MMJ. “Medically compromised patients who are indigent are those who are going to be left behind,” she added. Looking ahead, Speegle hopes the state will double the plant count for producers who have reached capacity. Arizona’s medical cannabis market is starting to reflect the situation in more mature adult-use programs, where excess supplies are forcing down prices. But the situation could change. Moe Asnani, who runs two Downtown Dispensaries in the state, said some big players with large greenhouses have moved in and pushed down prices. “The Arizona market is oversupplied at this point for wholesale,” he said. Wholesale pounds of flower are selling for as low as $900 and up to $2,000, depending on quality, with an average pound hovering around $1,600. That’s down from a range of $1,500-$2,600 for a pound of wholesale cannabis flower from a year ago. In 2017, an average wholesale pound of cannabis flower was closer to $1,900, he said. Wholesale pounds of MMJ trim have fallen to $200-350, down from $500-$600 a year ago, while retail prices are at $160-$325 for an ounce of medical flower, depending on the quality, according to Asnani. But Asnani is bullish on the future. Demand is increasing. In February 2017, Arizona had slightly more than 119,000 registered patients. This past February, more than 158,000 patients were registered for the program, according to state data. “So, I wouldn’t say that we’re saturated forever,” Asnani said. “It’s just a matter of time” before the demand catches up with the supply. Local business owners also are lobbying for measures that could improve demand, including reciprocity among out-of-state cardholders and lower prices for patient ID cards. In Montana, MMJ business owners like Richard Abromeit are more confident now that lawmakers won’t shutter the program, thanks to the 2016 ballot initiative. Abromeit, who co-owns Montana Advanced Caregivers in Billings, said his business is growing. An ounce of MMJ lower in Montana retails for $150-$225, according to Abromeit. Montana’s MMJ businesses are vertically integrated and so there is no wholesale market. Abromeit said prices fluctuate based on how well his plants perform. If he has a surplus, for example, he’ll lower his price to $150 an ounce. “Basically, if we have an amount of cannabis that allows us to sell it for less, we do,” Abromeit said.